Running an online business is more than just a full day job of a single person; it requires the efforts of a team to beat competition online. Since there are so many websites operation within the same niche, one has to make sure that his online campaign does not halt and there is no break to it even for a single day. Every day of working counts to keep the website rise to the highest possible ranks. If you own a web store or a service providing website, you’ll need SEO for it to be done on a daily basis and for it you’ll need a team of virtual office assistant professionals who can manage the work effectively. Since there are hundreds if not thousands of websites in the same niche, fighting them all on a daily basis is not an easy task. It requires the SEO team lead or the SEO expert to devise a strategy which will keep your website ahead of the competition. Since you need to have your search engine optimization done consistently, hiring an in-house staff can easily cost you a fortune and it would not be suitable to do so unless you are already a fortune 5000 enterprise. Small and medium business owners need to outsource this task to the experts who can provide the services at affordable rates. Apart from the SEO, every business has its own needs such as maintaining a contact with the clients and other team members. The business owner alone cannot do it all and since most of his time is eaten up by meetings or other business affairs, there is no time to set the records straight and to answer emails regularly. Hence he needs to have this task done also by an assistant and therefore he would require a team to be built up. The team would be responsible to handle all the business affairs professionally so that the business owner can have enough time to focus on the more pressing issues. The team of virtual office assistant hired by the business owner would work effectively to ensure that the business website remains in a good position and that the competitors also have a good reason to fear you. 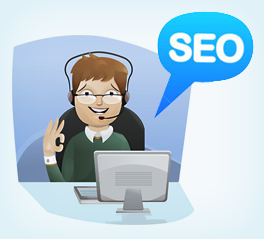 Your online promotion and website maintenance will cared by your virtual assistants. Hiring the team of remote assistants clearly gives the business owner a chance to deploy a team of experts without paying a hefty amount. The saved amount can be used freely by the business owner to either invest in his business and make it grow further or he can use it to go on a vacation with his family once a year. This entry was posted on Friday, June 27th, 2014 at 11:46 am	and is filed under Virtual Assistant Services. You can follow any responses to this entry through the RSS 2.0 feed. Both comments and pings are currently closed.